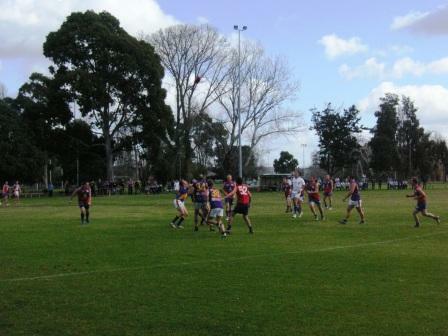 I popped into the Port Colts ground at Murphy Reserve halfway through the second quarter of the reserves game against Altona. 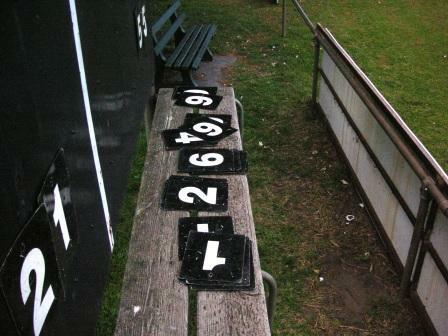 The bloke looking after the scoreboard was only doing half a game because he was playing in the seniors for Port Colts. We chatted as he hung up the numbers and barracked for his mates. Then the half-time siren went and bloke zipped off to the clubrooms. After taking some photos I turned around to find the goal-umpires waving their flags at me, giving me the all-clear. I hopped on my bike and headed for the Melbourne Grammar ground just up the road in Garden City. 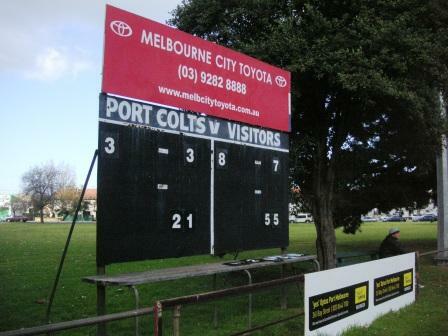 Port Colts lost the reserves match, and the seniors.